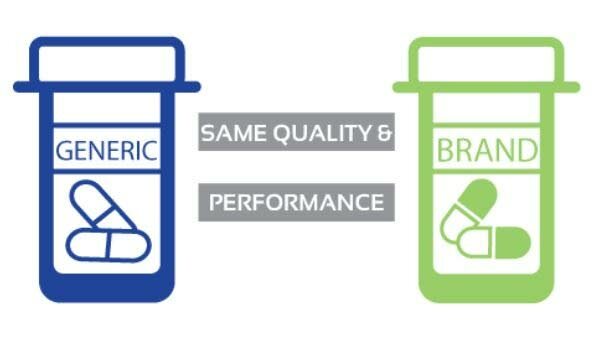 JANELLE DE SOUZA looks at the debate between generic and brand prescriptions in TT. MEDICAL professionals need to understand that people cannot afford expensive, brand-name drugs in this economy, and unless there is hard, solid evidence that it does not work, they should prescribe the generic version of the drug. That was the opinion of Jameel Rahaman, a pharmacist for over three decades. He said Panadol and Tylenol, were different brands but they were the same drug as paracetamol and acetaminophen. The brands, he said, were about five times more expensive but they were all just as effective. One of the main reasons for this, he said, was because doctors were trained by, supported by, and given the most research materials by brand name pharmaceutical companies. He said doctors were invited to workshops and conferences on their drugs and they were accustomed to brand name drugs in their training so that was what they prescribed. He said brand name pharmaceutical companies could afford to research and market drugs, and had drug representatives that visited doctors to tout their wares, but generic companies could not afford such. Rahaman said he understood there was the misconception that generic drugs were not good. He said, in “the old days,” TT used to buy a lot of poor quality generic drugs from India so the conception that drugs from India were cheap and so not good, and inferior, lingered. He gave the example of the blood thinner Xarelto. He said it was a very expensive drug but 40 per cent of Caribbean and Asian people did not have the genetic make up to break it down so that it could be absorbed in the body. He further explained that the pharmaceutical industry was controlled by the brand-name companies based mostly in the United States and Europe, as well as by the insurance companies which controlled the research and pricing. “When generics came on the market it caused a huge upheaval. The brand-name companies had so much money they forced the food and drug agencies around the would to make the standards even higher with respect to the purity of the compounds before they could even be brought to market. Therefore some generics are of a higher quality than the brands.” He said when they realised generic drugs could put them out of business, brand-name companies started buying up the generic companies. Those they could not buy, they hired to produce the drugs. As a result, three or four biggest generic manufacturers in India made most of the world’s brand name drugs. He said they bought the best materials, produced the highest quality drugs, and it cost less to produce because of mass production and very cheep labour. However, Rahaman said many people equated gene rics with counterfeit drugs. He explained that generic medicines were medical drugs with names decided on by an expert committee. It has an active ingredient that is used for a medical effect and can be the same chemical purity as the brands. Counterfeit medicine could be wrongly labelled as something it is not. It could be contaminated, contain the wrong or no active ingredient, or the percentage strength of the active ingredient is not within the acceptable dosage range. He said globally, the counterfeit trade was bigger than the arms trade. Rahaman warned that these drugs could also be found in pharmacies if they were bought from suitcase traders or another disreputable sources. Reply to "Brands vs generic drugs"